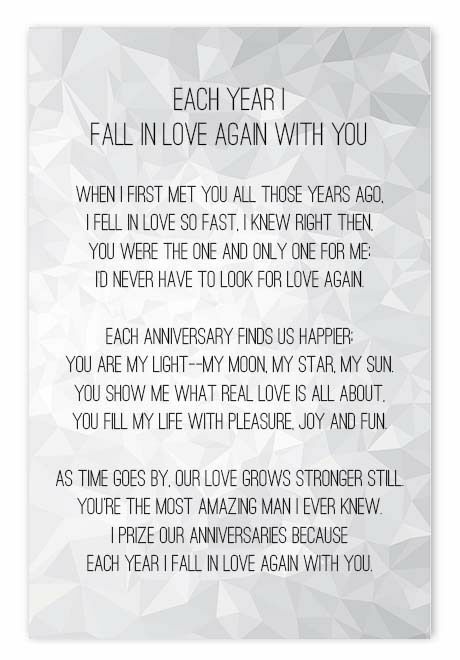 The centre frame you can use to customise your own special silver anniversary word art or love poem. 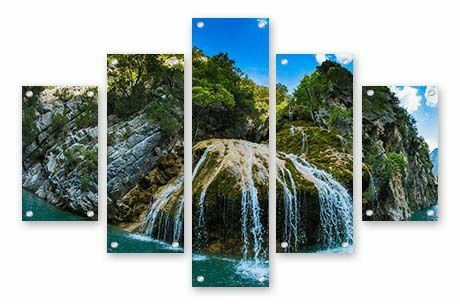 Whether it's horseriding, kayaking, bushwalking or playing bridge, this gift recognises that special bond. 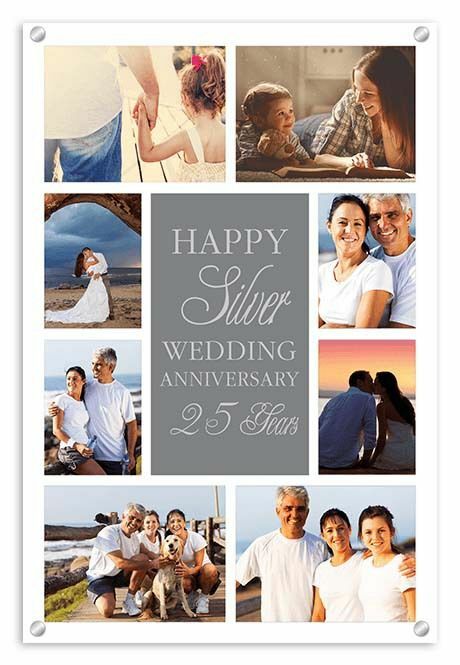 The idea is to choose a silver background to match the significance of the 25 years then print it onto brushed aluminium to give it that extra silver style. 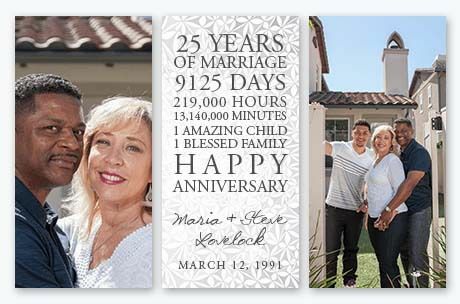 Count your blessings with a touching wall display that honours 25 years of marriage by the day, hour and minute. 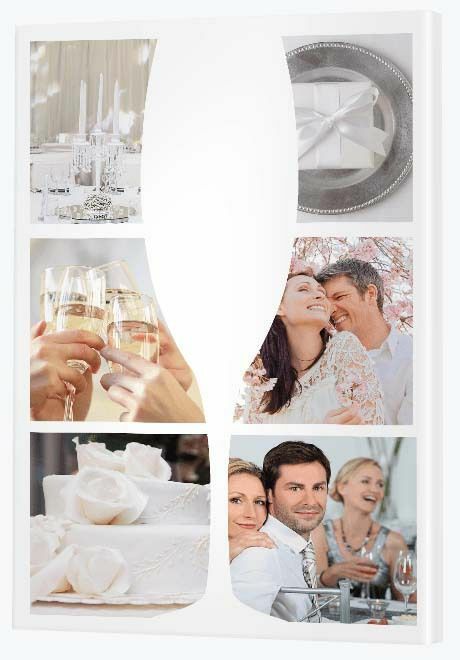 The idea here is to create a well balanced three panel display featuring a photo of the happy couple to the left, a photo of the couple with family to the right and, in the centre, some word art. 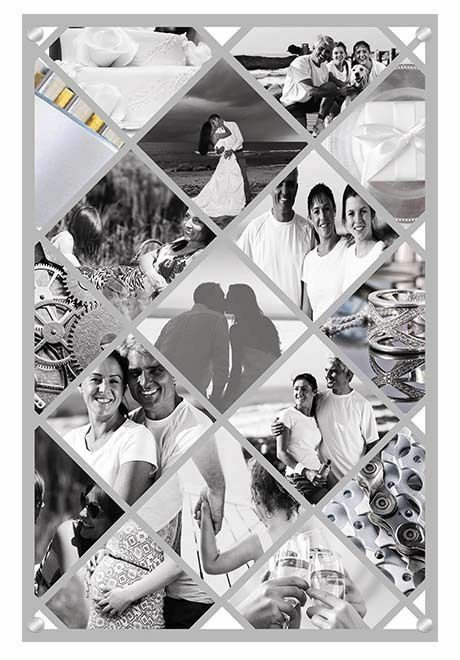 Create photo art with a silver edge to capture the glamour of 25 years together. 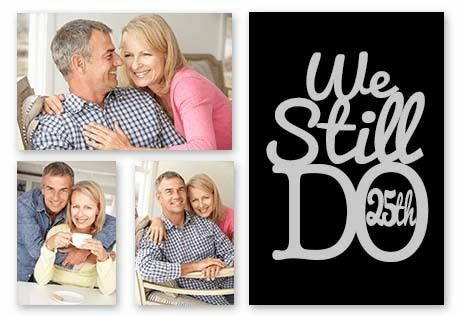 Of course not every day is as glamourous as the next, but this gift is about capturing the more charming moments of your life together. Think class. Think style. Think glamour. Here the photos are in monochrome, but for a glossier sheen opt instead for colour. Our CanvasApp gives you the chance to experiment, so you can get the look and the feel and the colours exactly right. Be sure to take the time to be creative and play around with all the different design options. 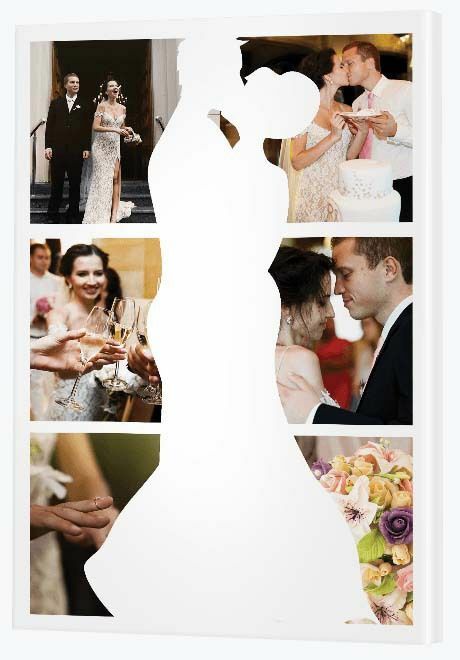 You can make the frame and the silhouetted couple any colour you like. You can even use the eye dropper tool to select a colour from your photo and use it as your frame colour. It's a neat designer's trick. 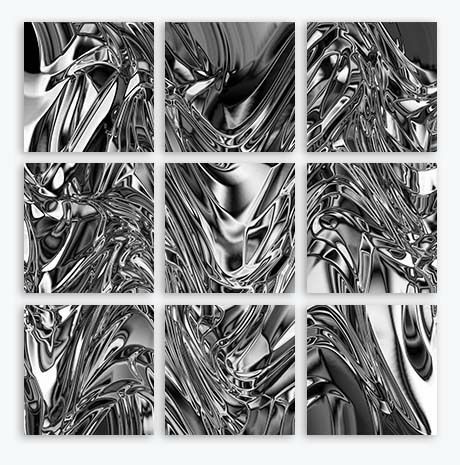 It's taken 25 years, but you finally have the financial freedom to afford a special gift and nothing says 'special' more than a photo print on brushed aluminium. 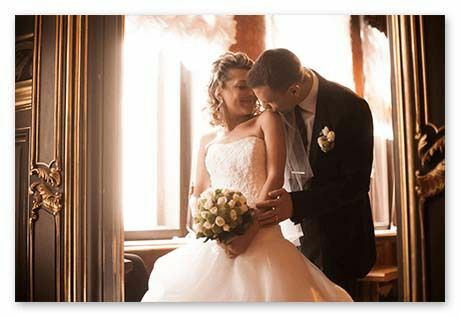 You might even like to do a bit of a 'then and now' display, featuring photos from your wedding day and photos from your party - two big celebrations worth honouring. You can keep the champagne flute silhouette white in colour or give it a light grey or 'silver' effect. If your photo selection is brighter and bolder (rather than light with pastels), you can even choose a dramatic frame colour like black or red. Perhaps it's the rainforest, the beach or even his favourite city - Paris, London, New York?